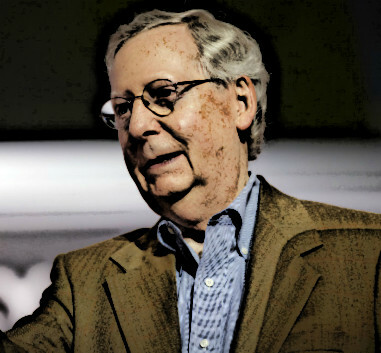 Majority Leader Mitch McConnell, R-Ky., recently took to the Senate floor to boast that the institution was back to work. His proof: A Washington Times report noting that the Senate has so far this year approved 73 bills that became law, compared to only 27 during the same period last year, and 53 in 2014 when the Democrats were in control. Numerically, he may have a point. However, it’s a small one. Historically speaking, 2015 was a low water mark for Senate activity. When viewed over a longer period of time, the Senate is currently on track to pass the least number of new laws in modern history. Absent a post-election burst of productivity in a lame duck session later this year, the 114th Congress will go down as one of the most unproductive ever. Simply citing the number of bills that become law without giving any consideration to the substantive content of those bills is an inadequate way to assess the current Congress. More importantly, using the overall number of bills passed as a metric to assess the Senate is completely off base. It’s like rating a quarterback solely on the basis of passes thrown, rather than his completion percentage, passing yardage and touchdowns. With regard to legislation, content matters far more than quantity. A narrow focus on generic productivity to the exclusion of other considerations is not how the Senate should be evaluated. Simply citing the number of bills that become law without giving any consideration to the substantive content of those bills is an inadequate way to assess the current Congress. Much more important than getting the Senate back to work is what the Senate decides to do while it’s on the job. Adopting the majority leader’s narrow measure of productivity effectively equates a Congress that nationalizes health care and passes amnesty with one that repeals Obamacare and secures the border. Both are equally productive according to the leadership’s logic. While the laws enacted during the first six months of 2016 may not have advanced significant liberal priorities, they also failed to boost conservative causes. Instead, nearly a third of the new laws touted by leadership as signifying a new era of Senate productivity addressed relatively minor issues. For example, five addressed parochial issues relating to the conveyance or transfer of small parcels of federal land. Eighteen named post offices or other federal buildings. One of the new laws designated the bison as the national mammal of the United States. Judging by the mood of the electorate, laws like these are not what the American people had in mind when the Republican leadership told them that the Senate would be getting back to work. Numbers may not lie, but in this case, they’re certainly not telling the full story. Read more at Daily Signal.